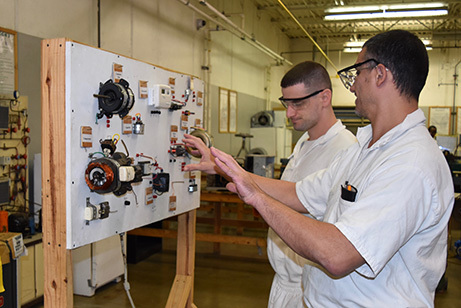 Career and Technical Education (CTE) teachers in the Windham School District (WSD) align job opportunities and learning with innovative instruction. The end result is a productive, positive journey for offenders seeking workforce reentry. 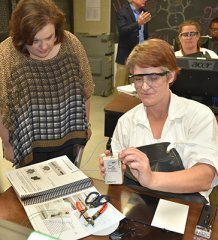 Windham CTE teachers across Texas bring their own professional experiences to work to elevate their students’ skill levels. 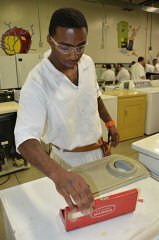 More than 42 trades are offered by WSD throughout TDCJ, and these offerings have been recently expanded to include skills needed in science, technology, engineering and math (STEM) middle-level jobs. WSDS vocational training programs include computer numeric control machining, fiber and copper cabling, computer controls programming and telecommunications. 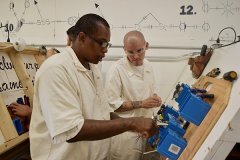 Windham also partners with TDCJ to provide training and U. S. Dept. 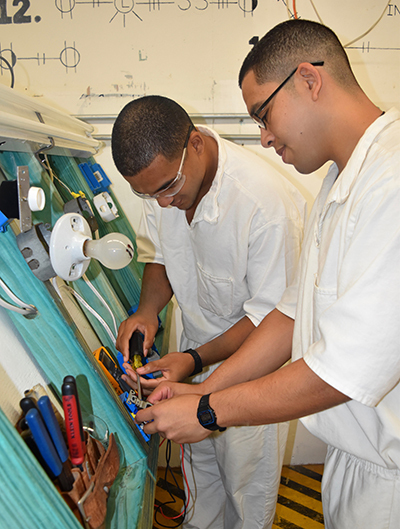 of Labor-approved apprenticeship programs for workers in various jobs within TDCJ facilities. Other CTE partnerships with industry and workforce development boards are also helping improve WSD vocational training while creating additional hiring opportunities for trained offenders after release. 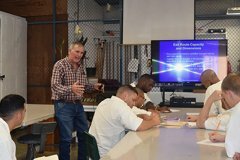 At the foundation of these changes and improvements are Windham’s vocational instructors. They work each day in challenging environments to bring authentic, real-world training experiences to incarcerated men and women. They teach their students the technical and soft skills needed to rejoin the workforce, and they mentor their students to become the trained workers sought by employers. Last school year WSD’s CTE instructors provided opportunities for more than 19,000 students to earn valuable industry-recognized certifications, increasing their chances for viable careers after release. 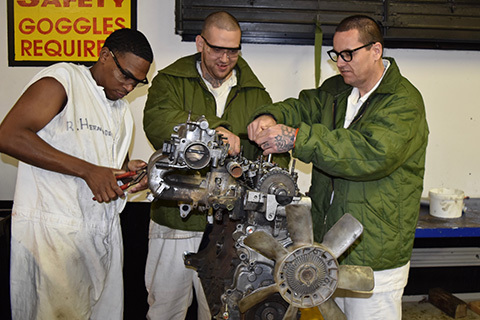 During February, we proudly salute our CTE instructors during National Vocational Educator’s Week, and we thank them for their dedicated service as correctional educators.